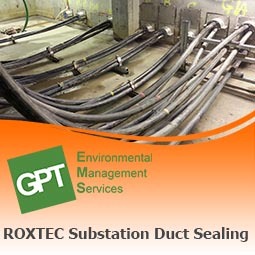 Geo Pollution Technologies are advanced Installers of Roxtec’s range of cable/pipe penetration sealing systems. Roxtec provide a mechanical sealing system which expands into the cable/pipe entry to form a water and gas tight seal (IP 68 rated), essential for applications such as substations where even small amounts of water ingress can cause major problems. The Roxtec system is extremely flexible and allows capacity for easily adding/removing pipework/cables at a later date. The system provides a high level of cable retention even where ground conditions cause the cables to bend putting pressure on the seal. The cable retention can withstand up to 320kg of pull out force. Unlike mastic products the Roxtec seals can be installed in flowing water conditions and can withstand constant water pressure. The Roxtec system requires ducts to be of solid construction and they must be (almost perfectly) round. The systems can be manufactured bespoke to your ducts and cable formations or come in more cost effective “off the shelf” units which can be designed into the build of a project. 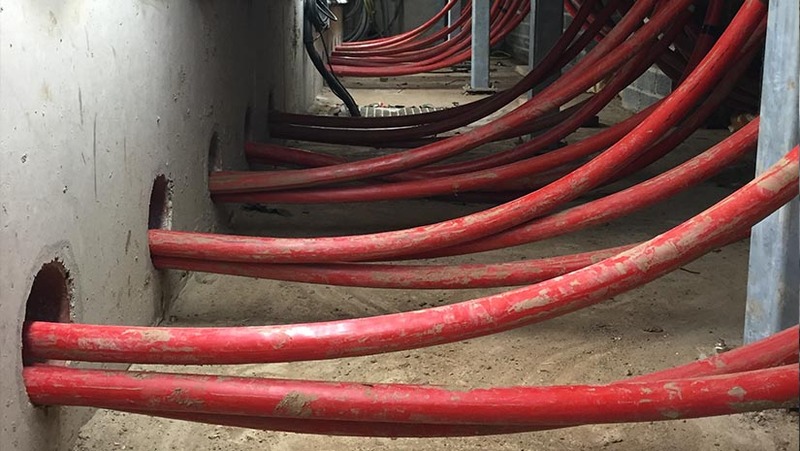 Ideally cable entry sealing is considered in the design stage of a project; knock out sleeves can be installed in the foundations of the construction. 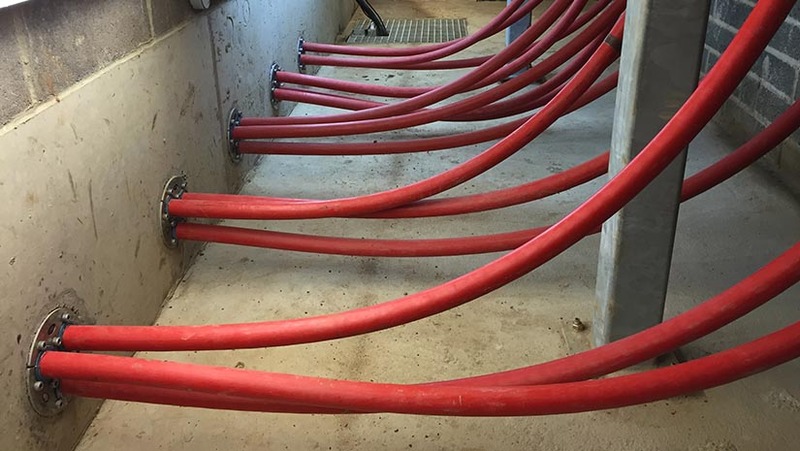 Cables can be run through the sleeves and easily sealed or the sleeves can be left capped off allowing capacity for easily adding additional cables in the future. The Roxtec system is particularly popular for use in electricity substations, power stations, data centres, on wind farms and on solar farms.